My name is Prashant Sharma, from Nepal. I have just completed my MCA from Bangalore University. And currently working as a freelancer. 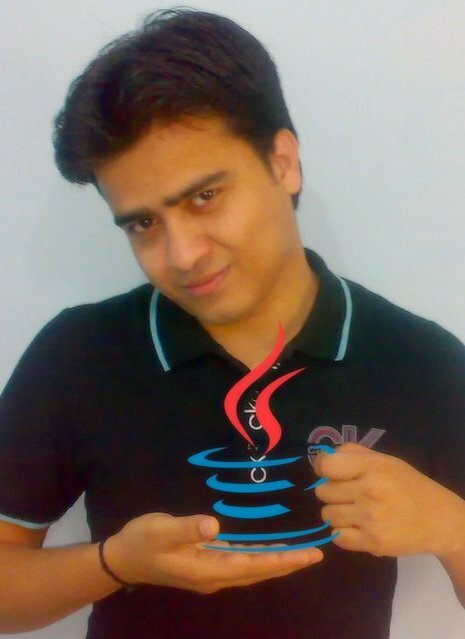 In this Blog, I have tried to post all my new experience with Java programming. I have tried to post each topic very clearly, so that readers can easily follow what I have written. When some topics help my readers and they send me comments, it encourages me to write more. And with the expectation of helping others, my blogging is going on. These days because of freelancing, I am not getting enough time to update my blog regularly. I hope, soon I could get some free time to update my blog and can provide you some useful information. Codding-Debugging and Web Designing Winner @ Sambhram Inter-college Competition. 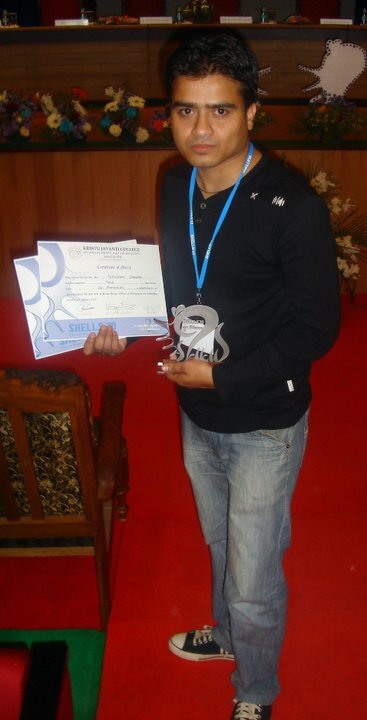 Codding-Debugging and Web Designing Runner Up @ City College Inter-college Competition. Web Designing Winner @ Kristu Jayanti College Inter-college Competition. Good beginning, keep it on. i just develop a project called “online exam” using jsp. can you help me to give code of using timer in jsp ? why not mitul, but what kind of timer you want, i have one that use jquery in JSP page for ajax. and as the time changes, update will changes on database. Try out Clocks in this pages..
My self ,Ashok Domadiya , MCA Strudent . your work on android application development is very nice..
i request to send me more application source code and also update blog. I will try to update few more tips regarding Android..
You have a very beautiful blog with lots of examples on android. Keep up the good work and all the best! I was developing an application which interacts with MySQL database. For the login page, I am considering two things, one is to have the user register with my app itself and then login, and as an alternative, I was thinking of having a login using OpenId as well. Can you help as to integrating the OpenId login authentication in my app.? For example if a user chooses to login from his google account, then I should ask for his email and password and check with google for that account. If that account exists, I should let him continue to the next page in my app. hi prashant, what is best way to display the hierarchical data in node format in jsp. i want to display hierarchical list in tree manner in jsp from fetching data using CTE in oracle 10g . for CTE i am getting error if you knw any thing can help me out so i can complete my interns successfully. Thanks for advance…keep going on with blog it really useful………..
congratulations, you really did a reat work. Hope younger will follow your steps, share is the better way to learn ad keep learning!